EDT, NOAA's National Hurricane Center upgraded Depression 9 to Tropical Storm Hermine, which is expected to intensify. 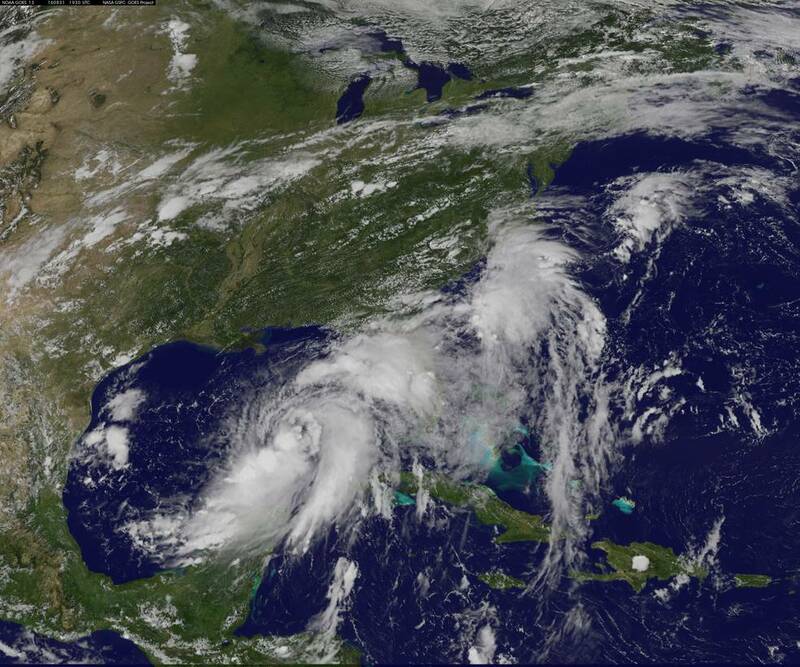 NOAA's GOES East satellite captured a visible image of Tropical Storm Hermine that showed the tropical storm organizing in the Gulf of Mexico. Tropical Depression Nine has strengthened to Tropical Storm Hermine. Hermine will turn toward Florida with heavy rain, gusty winds and the risk of flooding into Friday. The center of the storm is located about 295 miles west-southwest of Tampa, Florida. "We expect the storm to make a curve to the northeast and should make landfall north of Tampa and perhaps close to Apalachicola, in the Big Bend of Florida during Thursday evening," according to AccuWeather Hurricane Expert Dan Kottlowski. "Only if the storm remains weak and poorly organized will the track shift farther to the west along the Gulf coast," according to AccuWeather Meteorologist Evan Duffey. In advance of the storm, Florida Gov. Rick Scott declared a State of Emergency to help 51 counties prepare. A mandatory evacuation notice has been issued for Franklin County, located along the coast of the Gulf of Mexico on the Florida Panhandle. The storm will unload a general 4-8 inches of rain with locally 12 inches possible. This rainfall is enough to cause urban and low-lying area flooding.